Jack Harrison's monotonous life as a dairy farmer's son is at an end. Early rises, days spent at the mercy of his parent's chores—he's yearning for adventure. Jack's graduated high school and days from marking a major life milestone, his eighteenth birthday. His future seems set in stone until Jack uncovers a truth which implodes life as he knew it—a mother and father who share no biological connection to him, the truth laid bare in a pocket-sized journal. Angry and sore-hearted, Jack makes a naïve, drunken decision to vanish from a twenty-four-hour service station in Dalby all so he can keep a promise to Ellie—to attend the New Year's Eve rodeo at Mitchell, an event he always thought they'd attend together. 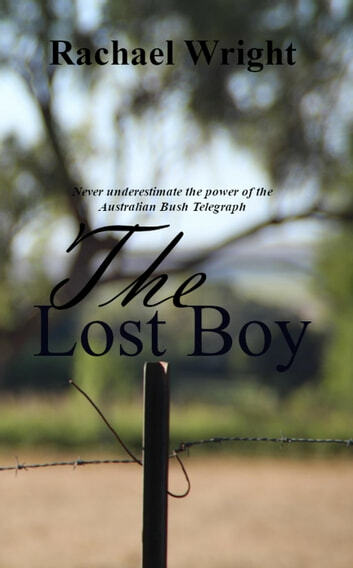 With everyone in Jack's life either dead or a liar, Jack hitchhikes and works odd jobs, meandering around Western Queensland collecting clues to locate his biological father. Through the power of the Australian Bush Telegraph, Jack uncovers his roots. His mother was a Jillaroo, his grandfather a legend of The Outback, tough, fearless and unlike the parent's who raised him. All Jack wants is the truth, who is he? The more he learns, the more his greatest fear threatens to manifest. Can Jack live up to his mother's legacy?